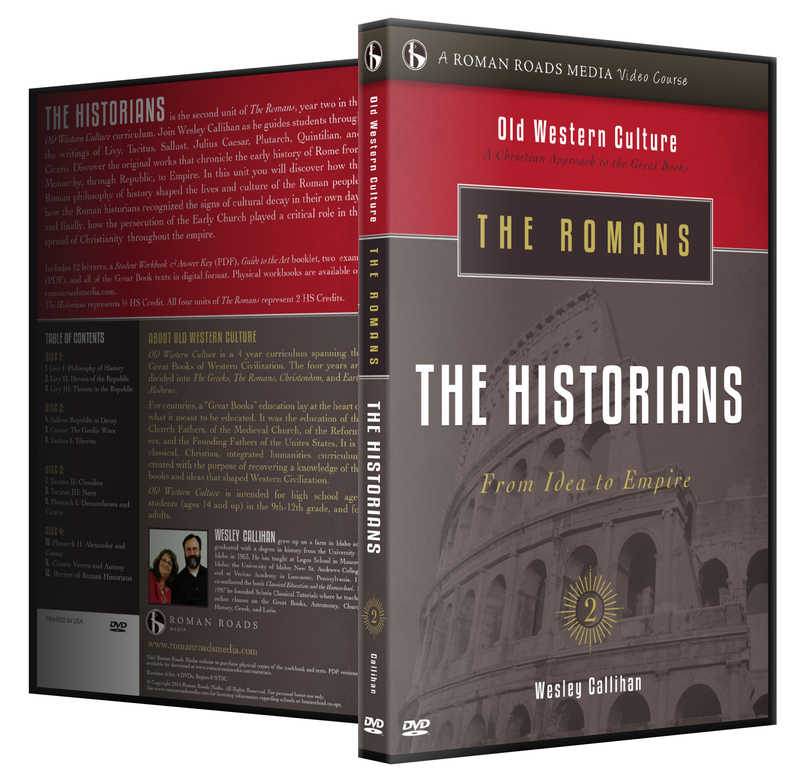 Romans: The Historians guides students through the writings of Livy, Tacitus, Sallust, Julius Caesar, Plutarch, Quintilian, and Cicero. Discover the original works that chronicle the early history of Rome from Monarchy, through Republic, to Empire. 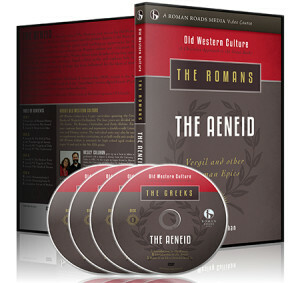 In this unit you will discover how the Roman philosophy of history shaped the lives and culture of the Roman people, how the Roman historians recognized the signs of cultural decay in their own day, and finally, how the persecution of the Early Church played a critical role in the spread of Christianity throughout the empire. Purchase the The Historians Reader here. WHAT IS “OLD WESTERN CULTURE”? “Old Western Culture” is a literature curriculum named after a term coined by C.S. Lewis to describe the fabric of ideas that shaped Western Civilization. For centuries, a “Great Books” education lay at the heart of what it meant to be educated. It was the education of the Church Fathers, of the Medieval Church, of the Reformers, and of all the Founding Fathers of the Unites States. – It is a CLASSICAL EDUCATION, based on the great books of western civilization. 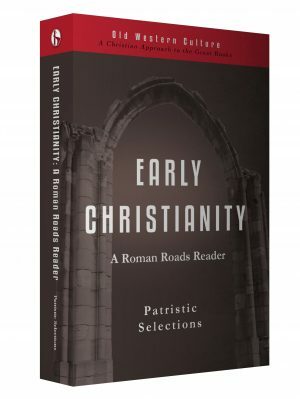 – It is a CHRISTIAN EDUCATION, which sees the history and literature of the West through the eyes of the Bible and historic Christianity. – It is an INTEGRATED HUMANITIES CURRICULUM, bringing together literature, history, philosophy, doctrine, geography, and art. – It is a HOMESCHOOL oriented curriculum, made by homeschoolers with the needs of homeschooled in mind, including flexibility, affordability, and ease-of-use. We bring a master-teacher into your home, and encourage parents to gain an overview of Western Civilization themselves by watching the video lessons with their children. HOW DOES OLD WESTERN CULTURE WORK? Old Western Culture is a video course. It is built around a master teacher, Wes Callihan. With decades of teaching experience, he guides students through the story of Western civilization. The Historians contains 12 video lessons (approx 30-40 min each). Each lesson begins with a brief review before jumping into summary, commentary, analysis, and inter-disciplnary connections of the works covered. After each lesson, students complete the assigned readings, and asnswer comprehension questions in the Student Workbook or online workbook. WHY DO PEOPLE LOVE WES CALLIHAN? Wes Callihan is a master story teller! With a remarkable ability to communicate a passion for history and literature, he makes profound ideas accessible, relevent, and interesting. Also known for his distinctive “rabbit trailers,” forays into funny and obscure historical anactodes, which have a way of showing up at the dinner table. (After all, rabbit trails are “hooks for the imagination and memory.”) Wes Callihan is a true classical scholar, fluent in both Latin and Greek. He lectures only from the notes in the margins of his worn copies of the Great Books. “Meet him” through THIS VIDEO TOUR of his personal library, which doubled as a mini-lecture! Old Western Culture is intended for mature and discerning students. We recommend this course for ages 14 and up. The course will deal with mature themes such as paganism, sexual immorality, battle scenes (mostly in actual reading), and classical paintings. Old Western Culture is meant to equip your child with a Biblical lens from which to process these themes. We assume your child has a working knowledge of the Bible and basic Christian doctrine. The Historians is 1/2 High School Credit in either literature or history. Each year of Old Western Culture is a double-credit Humanities course which is most commonly broken down into 1 Literature credit and 1 History credit. The double-credit assumes that the student will watch all the videos, read the required reading, answer the daily worksheets, and take 4 exams (one for each unit). This a robust course academically, and requires a fair bit of reading. Wesley Callihan will coach your student on how to approach the reading in the video. Average daily reading load is 30-40 pages. As an “integrated humanities” course, Old Western Culture will constantly be incorporating history, literature, theology, philosophy, art, and art history, all through the eyes of the Great Books. WHAT’S INCLUDED IN THE HISTORIANS? When you purchase The Historians you receive access to the online streaming portal. If you choose the “Add DVD” option, you will also receive the DVD set. – A Student Workbook and Answer Key in PDF format (optional physical version available). – A “Guide to the Art” booklet (24 page booklet found inside the DVD case). – An A and B exam with teacher guide and answer key. – All required texts in eText (PDF and Kindle edition). Physical books recommended for the pleasure of the reader. The workbook gives the student questions to answer for every reading assignment and lecture, discussion questions to think about, and a host of further resources for the student that wants to go further (or study for a paper!). The Answer Key at the back of the textbook will give the recommended answer to all the essay questions. We encourage students to answer the questions on their own before referencing the Answer Key. There are two options for reading the Great Books that accompany Old Western Culture. 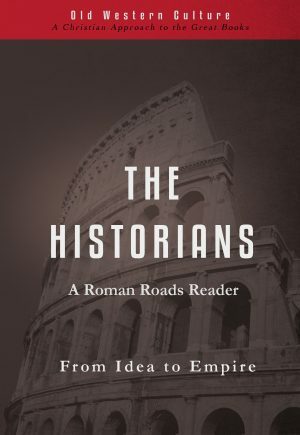 Use the Roman Roads Reader for this unit, which contains all the required texts for the course. You can also use your own books or purchase your own books. We have links below to our recommended editions of the various texts in physical copy. Visit our Sample Page to take Old Western Culture for a test drive! World class teaching by classical educator Wesley Callihan. Demanding, challenging, mesmerizing content that will leave your student, no matter how steeped in history and classical studies, begging for more. This has to be the best curriculum we have found for studying the great classics! We’ve been homeschooling for about 15 years and have not found anything like this. Mr. Callihan is knowledgeable, engaging, and entertaining. He speaks to the students as if he is right there with them. Not only have they chosen excellent books but all the information that he shares with the student makes this a perfect Literature and Social Studies course. On top of that, they have included a booklet with some of the most beautiful artwork to accompany the course. It’s like walking through a museum. Frequently, my son shares a story at the dinner table about what Mr. Callihan said. We all get to enjoy his stories. It also lets me know he’s “getting it.” I would highly recommend this to any family interested in a Classical Christian education. You will not be disappointed with Old Western Culture or Roman Roads Media. Mr. Callihan speaks so eloquently on these topics and always keeps a Christ-centered approach. We can learn much from past mistakes and see clearly where God was left out – much chaos reigned. Teaching that to the next generation is not an option – it’s a must for Christians. To approach such pagan instruments is often difficult so this is a valuable resource for those intimidated by the subjects like I am. The Greeks is taught by Wes Callihan, quite possibly the most engaging teacher of classical material I have encountered since my days at the University of St. Thomas. It is obvious that he loves what he is teaching, which is the mark of a truly great teacher. When he talks about Achilles and Agamemnon, you know that he feels their conflict and their emotions. You never have any doubt that he is going to lead you safely through the turmoil of Achilles’ last days. He teaches with confidence and enthusiasm, and it is infectious. If you want your child to have a Great Books, classical education – either the kind you had or the kind you wish you had – Wes Callihan is the man to teach her. Wes Callihan is an incredible mentor. His style is that of an armchair story teller. Instead of breaking down the technical nuances of a text (and the Vandiver Great Courses Company Course on The Iliad does that beautifully), he invites us into his personal library, shows us his well-worn Lattimore text and then proceeds to tell us stories…. Friends have asked if the reading load in these courses will dominate their high school student’s reading time and leave no room for other goodness. As a former high school teacher, I confess to being impressed by the layout of the course and the breakdown of the work. It is a program my kids have loved the most this year. And I love that I am able to learn alongside then too. After many years of misunderstanding some of The Great Books, I can safely say I am closer to realizing what they mean now. I am truly amazed by this program! Callihan is a gifted teacher—so much so that I think parents might want to watch the lectures along with their students for their own enlightenment. I really like the idea of a classical education for my children. I was considering Omnibus by VP but was very intimidated by teaching that myself and their online classes were so expensive. When I found this DVD series I felt like this was exactly what I was looking for! My ninth grader and I sit and watch Wesley Callihan talk to us from his study chair. He really makes the Greek Classics accessible to us. I also love that he comes to the classics from a Christian world view. This series fits the bill for a classical education! As a homeschool mom just venturing into classical education, I can tell you that Old Western Culture: The Greeks is super-easy to use. With schedules carefully laid out for you, you can easily plug and play. I like that all preparation is done for me and I need simply to enjoy listening to my children as they begin to think and talk and discuss ideology together. I’ve tried a lot of “great books” materials in the past. All have left me feeling inadequate and incapable. All of them. Old Western Culture though? This one is different. But what if there was a single program that adequately covered key texts of Western literature; that was well-written, accurate, and Christ-centered; and that didn’t just mimic all the other courses? Well, there is. Old Western Culture: A Christian Approach to the Great Books is everything other Classical-style courses wish they were. The Old Schoolhouse reviewed Old Western Culture, Grammar of Poetry, Dave Raymond’s US History, Visual Latin, and Economics for Everybody.